A savings account can help you achieve financial goals like putting money aside for college or emergencies. Find out more in our quick intro to savings accounts. Savings accounts hold money that is not intended for frequent use. Most financial planners suggest that everyone keep a savings account, as they are one of the most important parts of a solid financial plan. Typically, funds in a savings account are reserved for emergency purposes, or are being saved up for a big purchase. Having an emergency fund in a savings account is one of the best ways to keep from having one small emergency lead to financial ruin. Even people who live paycheck to paycheck can save up a sizable emergency fund by adding small amounts to their savings accounts over time. The recommended amount to have in this kind of fund is to keep about six months of expenses in the account. This can take years for some people to save, but it is something that can bring great peace of mind. 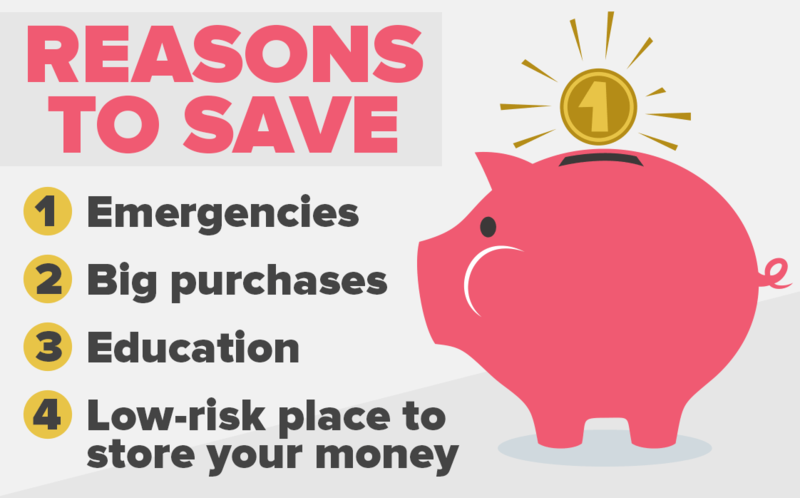 With emergency savings accounts, people can not only take care of emergencies quickly, they can also save money on credit card interest and bounced check charges when an emergency does strike. A simple savings account is an easy, no-risk way to save money for a child's education. While savings accounts generally don't come with a high rate of return unless the account is sizable, the money in the account is not risked as part of an investment. If it is not withdrawn, it will continue to grow for as long as the account is in order. And, unlike some investments that are for college expenses only, a savings account that is for education can also be used for private school expenses, educational trips, and any other expenses that come up. Many people start savings accounts to fund large purchases that can take a long period of time to save up for. This can save the account owner a great deal of money in interest and it keeps their money safe from being spent on other things. A large purchase like a car can be made in cash if the buyer has been saving a little bit at a time for several years. In many cases, this can save thousands on interest costs, and it makes the purchasing process far less complicated. Savings accounts cost nothing to start and they can result in the kind of savings that can have a large impact on anyone who takes the time to nurture them. One popular alternative to traditional savings accounts are certificates of deposit, which offer higher interest rates. With these, a sum of money is deposited and effectively put on hold for a set amount of time. The money is inaccessible for this period, but over time accrue much more interest than a normal savings account.